Loved the place, lovely man in charge even though many staff and customers had left as the slow season arrived. Iannis was so helpful with his rental cars. Such an awesome island. Location and view of the sunset was lovely. 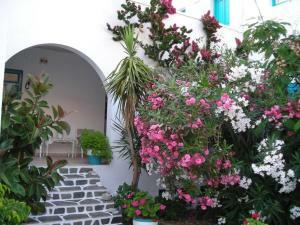 Plus owner Giannis is a charmer and will do what ever he can to make sure your stay is comfortable. Plus his right hand woman is Nina who with her lovely smile and energy greets you warmly when you start every morning with coffee and breakfast. We had a very spacious apartment for the basic rate, it was very clean, the service was impecable, the owner is a very gentle and kind man. The kitchinette is well provided.The garden is beautiful. It was worth the klimb up the sloap ervy time! Staff extra friendly and helpful. They helped me make phone calls and arrange activities with local providers. Yannis and Nina. Can't thank you enough, you made us feel like we were at home! Yiannis is a fabulous host. Chatty, funny, helpful and knowledgeable. His English is great too. The hotel is in such a convenient location for the town and beach, just up a small hill. The rooms and balconies are a good size and the shaded garden a bonus to sit in for breakfast. Superb staff, location, comfort and a breakfast to measure! Really welcoming and friendly staff, and great views from the balcony.. close to rentals and just up the hill from restaurants. The owner/manager really went out of his way to make our stay as enjoyable as possible. Our spacious room had a wonderful view over their lush gardens and the turquoise Aegean in the distance. 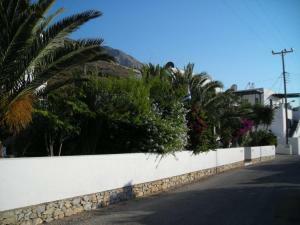 The hotel is a short walk from the port/beach on a peaceful street. Car hire via the hotel was easy and good value. Lock in a great price for Gryspo's Hotel – rated 9.3 by recent guests! Gryspo's Hotel This rating is a reflection of how the property compares to the industry standard when it comes to price, facilities and services available. It's based on a self-evaluation by the property. Use this rating to help choose your stay! 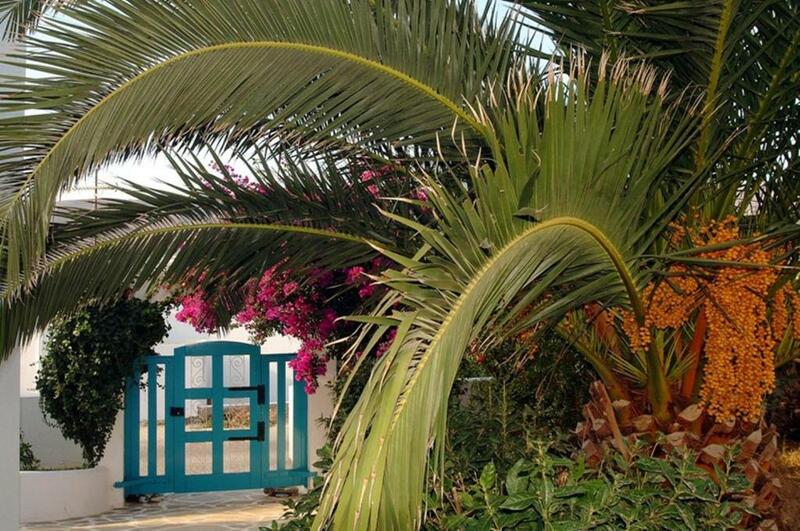 The Cycladic-style Gryspo’s Hotel is located in the coastal Aegiali Village. 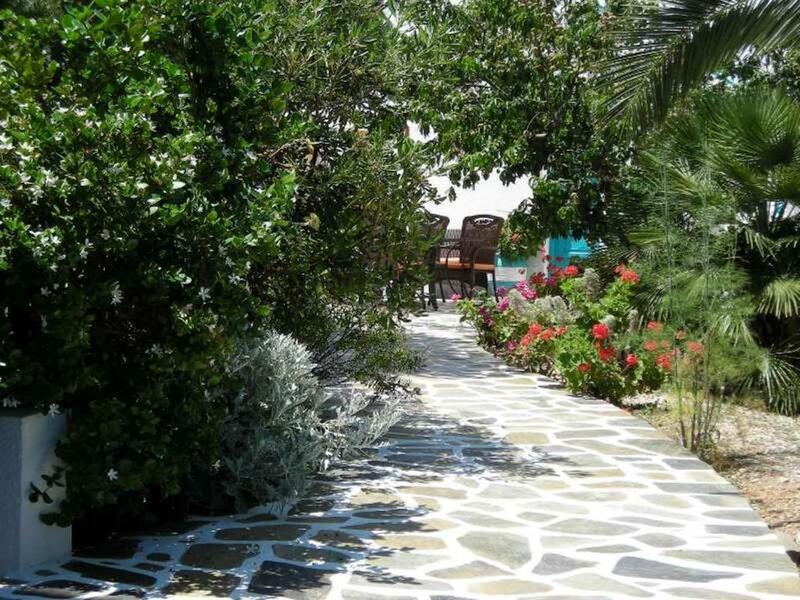 Within 800 feet from the beach, the studios overlook the colorful garden or Aegean Sea from their balcony. Wi-Fi is free in public areas of the property. Spacious and fitted with dark wood furniture, the guestrooms at Grypso’s include a kitchenette with a fridge and cooking hobs. Each is air conditioned and has a TV and hairdryer. Guests can enjoy a continental breakfast that is prepared every morning. An on-site bar and room service are also available. Restaurants, café-bars and shops are conveniently located 500 feet from Gryspo’s Hotel. 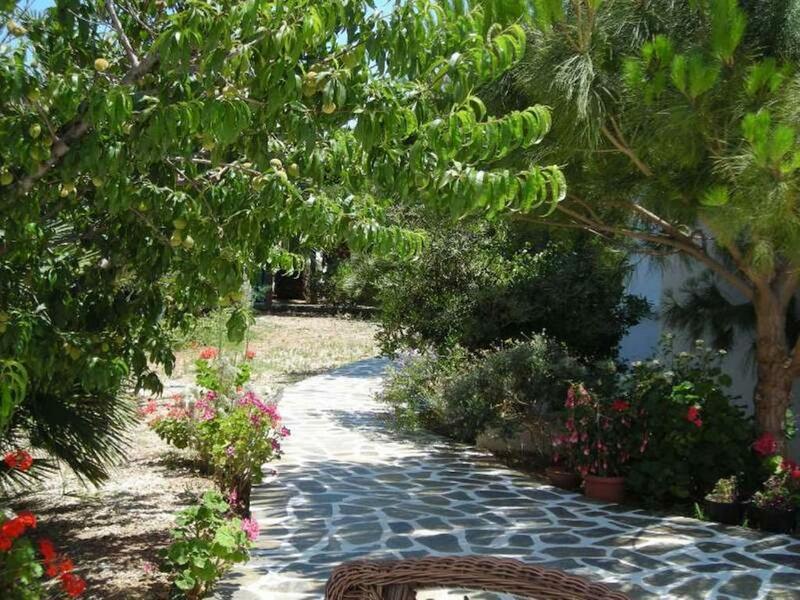 Amorgos Town is at a distance of 9.3 mi away. Private parking can be found on site. When would you like to stay at Gryspo's Hotel? Overlooking the colorful garden area from its balcony, this studio is spacious and fitted with dark wood furnishings. Each has a kitchenette with a fridge and cooking hobs. Air conditioning, a TV and hairdryer are standard. 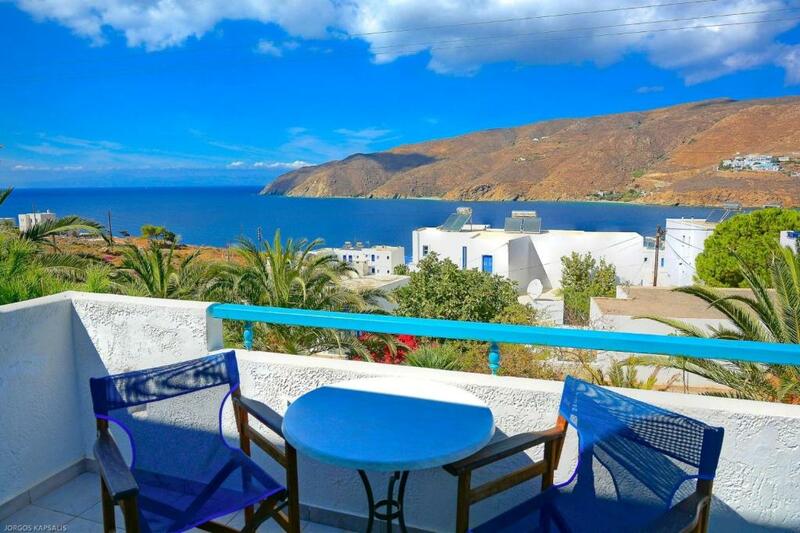 Overlooking the Aegean Sea from its balcony, this studio is spacious and fitted with dark wood furnishings. Each has a kitchenette with a fridge and cooking hobs. Air conditioning, a TV and hairdryer are standard. Two-room apartment, consisting of of one separate bedroom with one double bed, living room with full equipped kitchen and two sofa beds, private bathroom and veranda for 3 or 4 people. 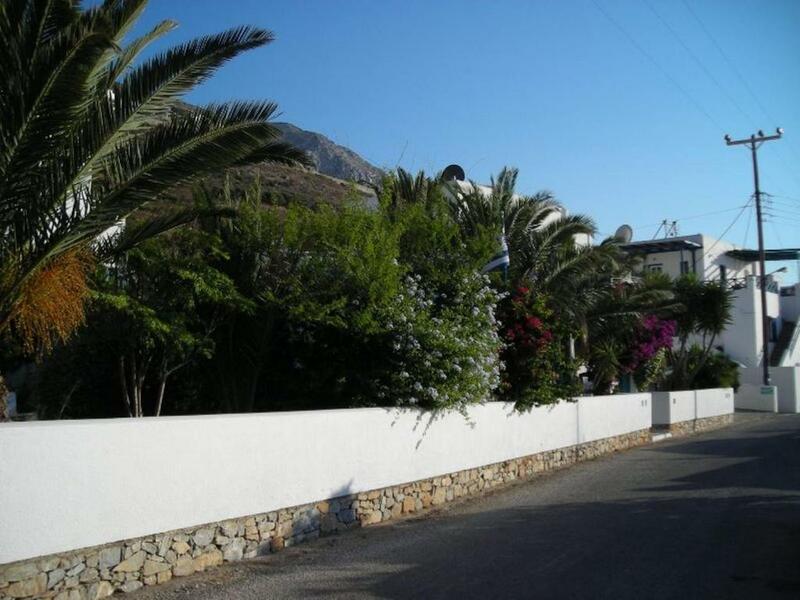 Two-room apartment consisting of of one separate bedroom with double bed, living room with full equipped kitchen and two sofa beds, private bathroom and veranda for 3 or 4 people. House Rules Gryspo's Hotel takes special requests – add in the next step! One older child or adult is charged EUR 11 per person per night in an extra bed. Gryspo&#39;s Hotel accepts these cards and reserves the right to temporarily hold an amount prior to arrival. Gryspo's Hotel accepts these cards and reserves the right to temporarily hold an amount prior to arrival. Beds could be slightly updated, softer. The walls were abit thin as we could here the other couple snoring that kept us awake a couple of nights. Pick up from the ferry, good communication, amazing host, thanks ! Everything was just perfect. 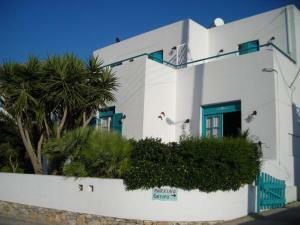 Wonderful studio, very spacious, very clean and the hotellstaff were so friendly and nice . Breakfast was additional and soo good, realt worth the price. You could rent a car at Gryspos. They had their own cars. Γιάννης is terrific. A very nice little hotel placed in the upper part of Aegiali. We had a very nice view of the sea frown the balcony. The studio was great, and well equipped kitchenette. Wonderful staff. Very friendly and hospitable.